Chair yoga is a gentle form of yoga that uses a chair. It is ideal for all ages and abilities. We explore seated poses to stretch and strengthen the body, as well as relax the body and mind. 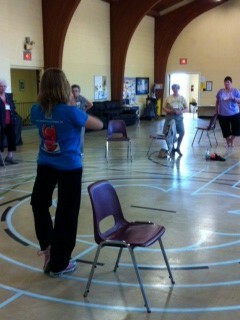 If participants are able to stand, we use chair as a support to work on balance poses. Alternate poses are given to participants who cannot stand. Innovative Wellness offers a variety of different Chair Yoga Programs. 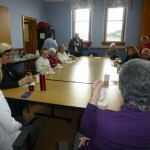 This program runs every Wednesday at 10:30am all year. 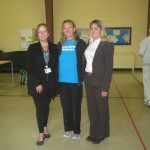 It is in partnership with Waterloo Wayside. Please arrive at 10:15am to complete the waiver, health form and create a name tag. Parking off Albert. Arrive early to get a spot. Or free parking on the streets.January 2, 2019. 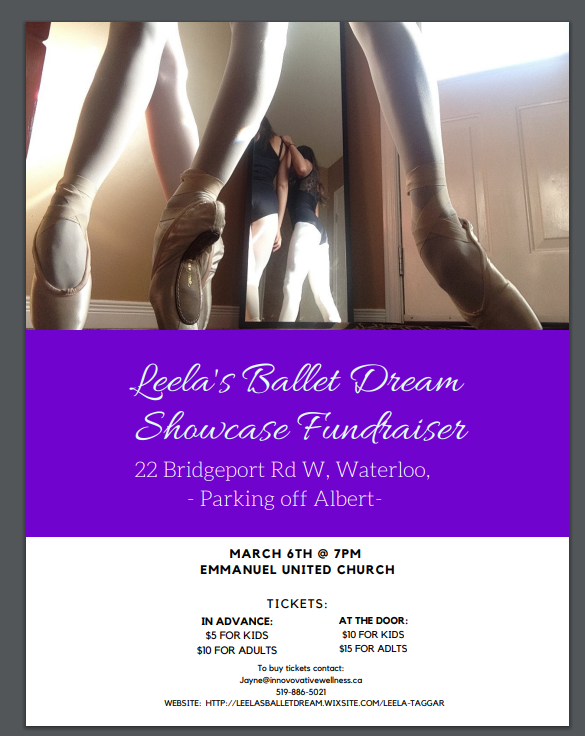 Join us for a fun night of great music by five incredibly talented local professional musicians and four different styles of dance demonstrated. 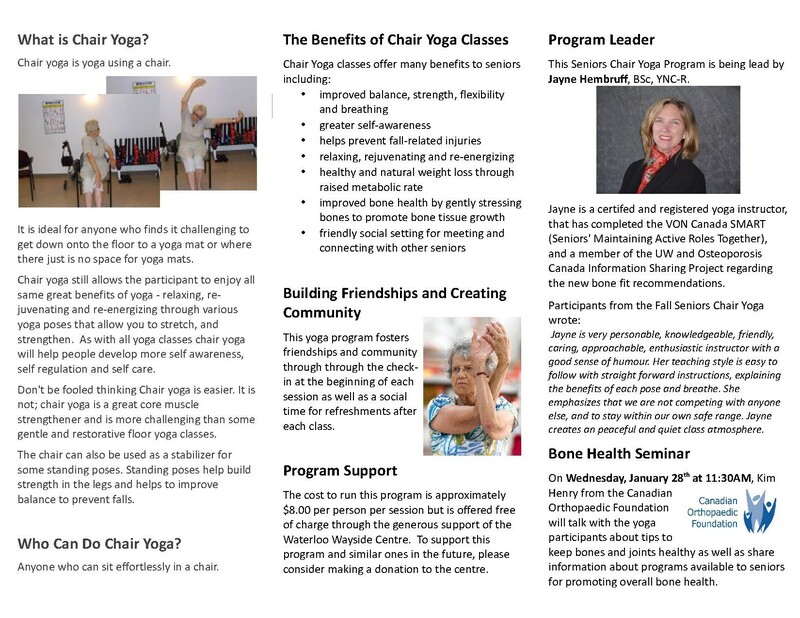 Jayne has taught yoga full time since 2006, and has lead more than 2,000 classes.Jayne Hembruff facilitates this program. 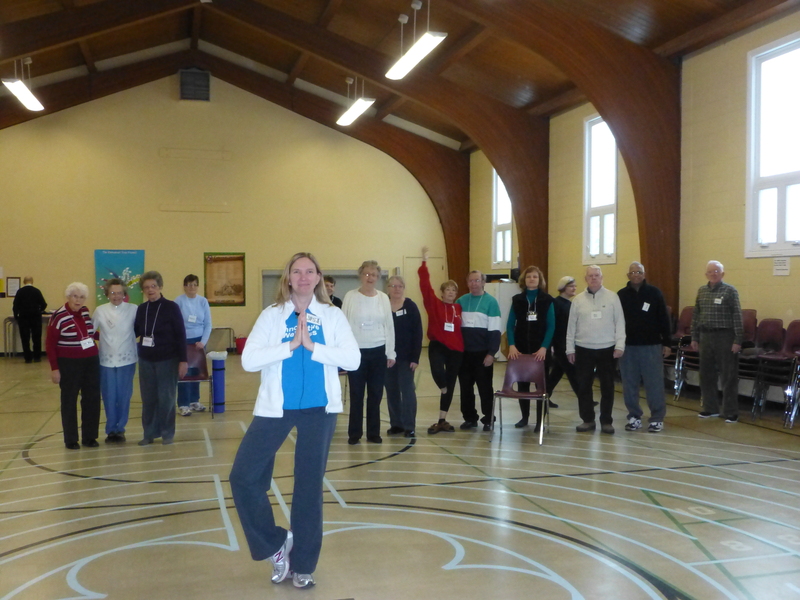 She has over 600 hours of yoga teacher training, including being a trauma informed, BoneFit trained (through Osteoporosis Canada), as well as gentle exercised trained. She incorporates the latest yoga and exercise recommendations for seniors and people living with mental health and/or physical health challenges. 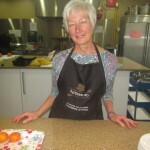 Jayne has taught yoga full time since 2006, and has lead more than 2,000 classes. 11:30 -12noons Tea, coffee and snacks. 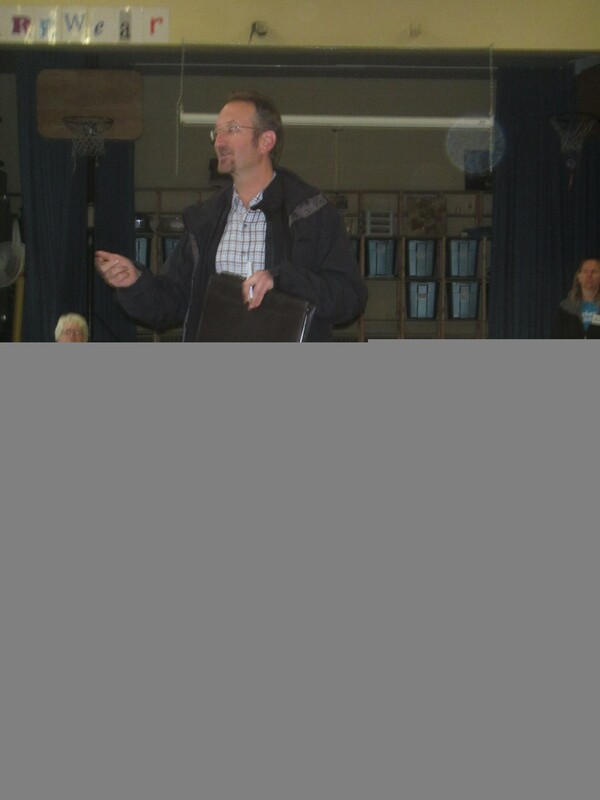 Community Special guest speakers. 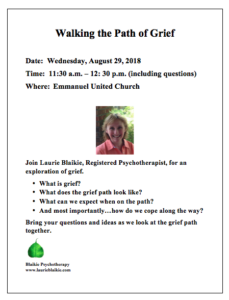 See below for details. 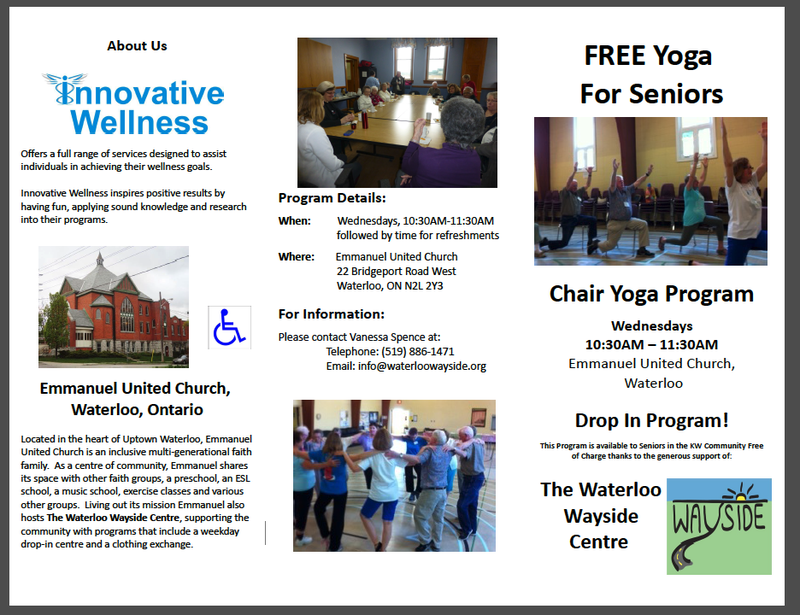 Waterloo Wayside Centre will continue to sponsor this Seniors Chair Yoga in the fall. 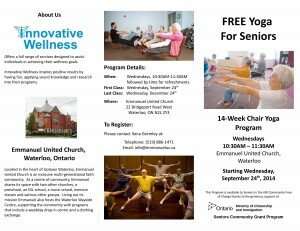 The yoga classes will be on Wednesday mornings from 10:30-11:30 followed by a social time.? EXERCISE MAKES YOU YOUNGER:According to Dr. Pamela Peeke, an assistant professor of medicine at the University of Maryland, super-fit athletes have a fitness age much lower than their actual age. 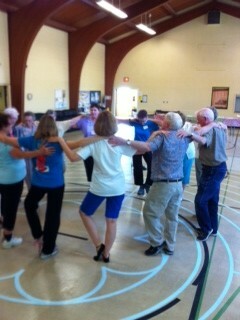 To give you an idea, the average age of participants in the Senior Olympics is 68, yet their average fitness age is 43. We are seeking informative speakers to share resources, and tips related to seniors health and we-bing. Who can speak for you when you cannot speak for yourself? 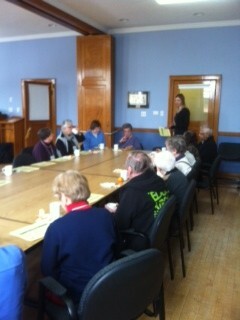 Did you know our community has one of the only funded advanced care planning programs in Ontario? 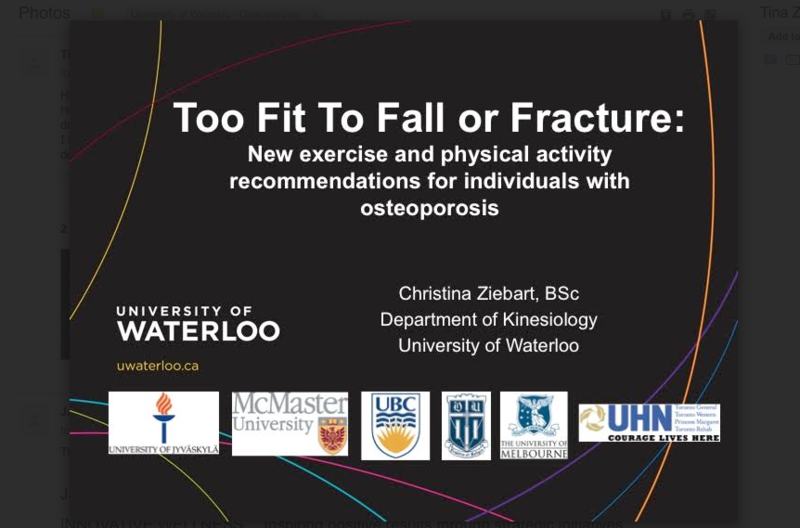 At our Oct 19 & 26 talk we will?provide you with ?free resources and tools. Learn?about the Hierarchy of Substitute Decision Makers (SDM) Health Care Act s.20. What are the requirements to be a SDM? What is a Power of Attorney for Personal Care? Why should you have a power of attorney for personal care. Where you can get a form for the power of attorney for personal Care. 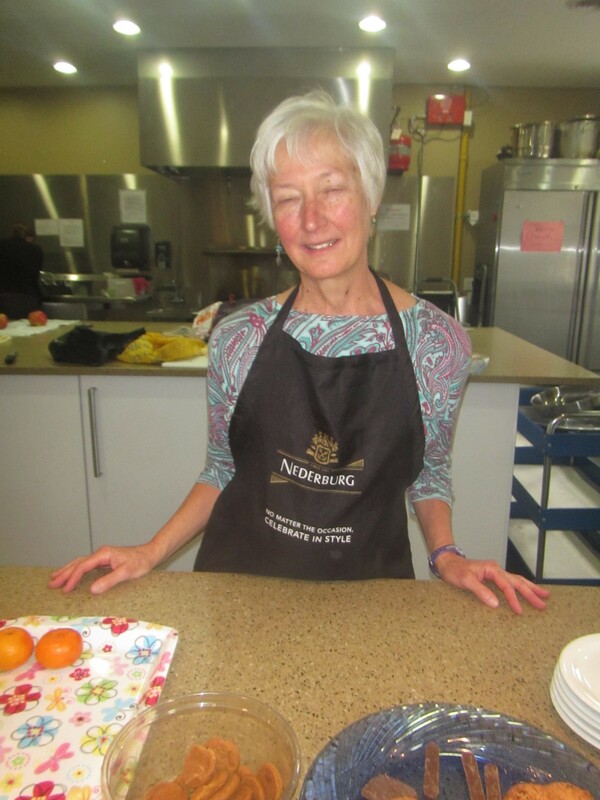 Brenda provides addiction/concurrent services for adults, youth and seniors in 1-1 and group settings. She is the agency lead for the Tobacco Cessation Program; facilitates the Quit Tobacco Group, the Relapse Prevention group and CAMH program COPA College(an 8 session workshop series for individuals age 55 years and older). She co-facilitates the Parent Group and partners with House of Friendship?s Bridges to Health for Men & Women?s Day Treatment Programs as a Mindfulness Educator. She has over 30 years experience with various types of meditation practices including training in Mindfulness Based Stress Reduction, DynaMind and the Silva Method. 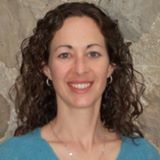 She is a certified yoga teacher with special interest in cycling/kayaking/skiing; and potential to use Mindfulness to heal the brain. 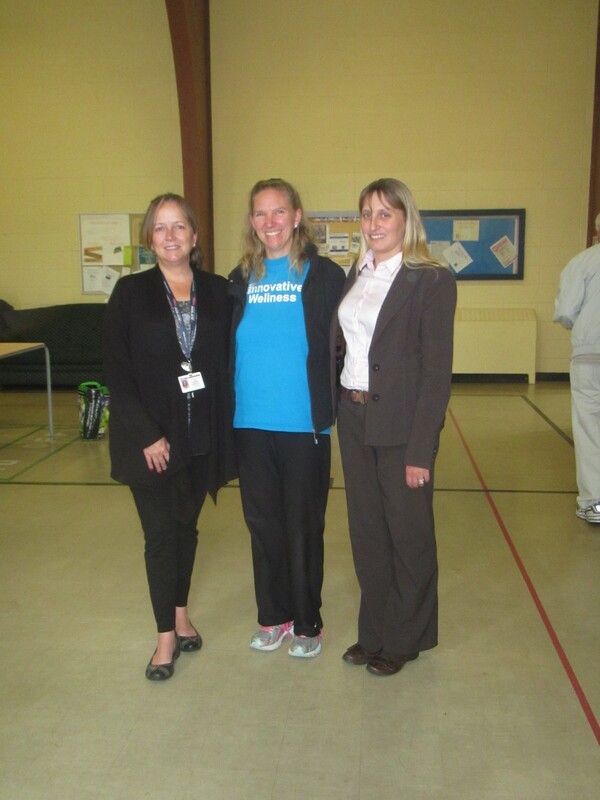 Thank you to all our past presenters we enjoyed all the information you shared with us. So many considerations go into preparing a meal. For many, especially in a time when the economy is uncertain, concerns about your grocery budget can trump the concern for eating healthy. If you take a little time to plan and prepare you?ll find you can put together highly nutritious meals, even on a tight budget. Plan Your Meals: By planning your meals before you go shopping, you know exactly what ingredients you have at home and what you need to purchase. Planning ahead helps to reduce your cost and minimize wasted food. Currently close to ? of all the food produced worldwide is wasted. In Toronto, single-family households discard about 275 kilos of food waste each year (although that city’s expanding composting program captures about 75 per cent of that) (Suzuki Foundation). That means one in four food purchases still ends up in the garbage, and Toronto taxpayers spend nearly $10 million a year getting rid of food waste that’s not composted (Suzuki Foundation). Stick to the List: Only purchase items that are on your shopping list. This reduces your time in the store, and minimizes the chance for impulse buying. The majority of your shopping should be done along the outer walls of the store. Avoiding unnecessary middle aisles can also prevent purchases of non-nutritious and costly junk foods. Add beans and lentils to your meals: They are a great source of protein for less money than meat. One can of beans averages 3.5 servings (based on a ? cup serving), is approximately 34 cents per serving and gives you about 7 g of protein per serving (WebMD). Consider using beans and lentils for 2 or more meals a week in place of meat. Not sure how to incorporate beans into your cooking? There are plenty of resources with recipes using beans. One example is Canadian Living Magazine. Add more fruits and vegetables to your plate: You can fill ? your plate with fruit and veggies for very little cost. According to the Environmental Working Group, you can get 5-9 servings of fruits and vegetables a day for about the cost of riding the bus in most major cities. Cook large batches and freeze the rest: By doubling recipes, you always have a few meals prepped and ready to go for those days you really don?t feel like cooking. Cutting back on eating out and eating more at home can make a big difference in your food spending. Shop for the deals:Look in the newspaper for coupons, and check for the sales on items in the store. You can even buy certain fruits and veggies in bulk amounts for cheaper and freeze what you cannot use right away. Connect with your local farmer?s market: ? ? ? ? ? Get to know the farmers in your area. You can sometimes buy more produce for less, especially when produce is in season. Look around for the right deals. Date: Feb 10: one of our own participants?Nena Wirth, BSFN, MASc. Diet and Nutrition Consultant and author of four books shared she will be delivering two presentations ?HEALTHY GUT HEALTHY HEART ?When: February 13 at 3-4 PM ?Where: Seventh Day Adventist Church?235 Williamsburg Rd, Kitchener, ON?Phone:(519) 742-9757 ? ? 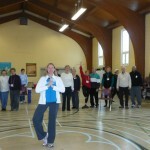 ?When: February 27 at 2-3 PM?Where: Unity Church?2631 Kingsway Drive, Kitchener, ON. 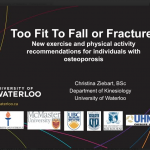 Liz shared information about the body as it ages, how exercise is beneficial for age related diseases, bonefit and osteoporosis. 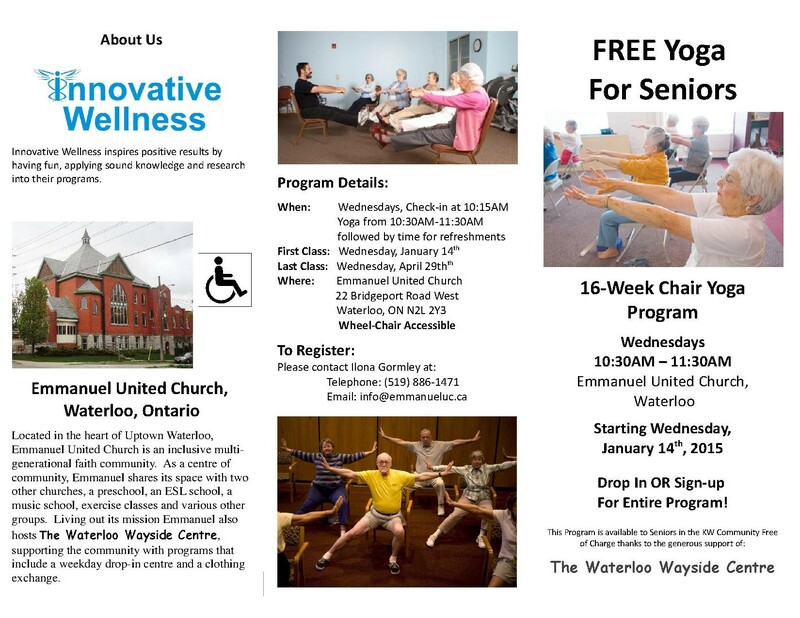 If you are interested in furthering your fitness I offer Senior Fitness Classes starting Monday Jan. 11, 2016 at 9:00 am at Westminster United Church 543 Beechwood Drive. Contact Liz at liz_krzyz@hotmail.com. 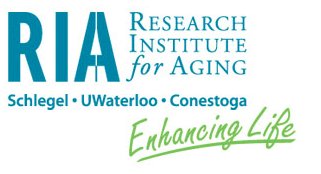 Loiselle is the Associate Director of Research at the Murray Alzheimer Research and Education Program, in the Faculty of Applied Health Sciences, University of Waterloo. 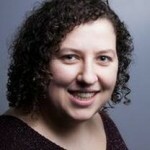 Since 1999, she has been conducting research which focuses on the social critical aspects of Alzheimer Disease and related dementias, with the goal of translating the research results into practical, accessible way in which to educate and support people with dementia, partners in care and professionals working in the field of dementia care. 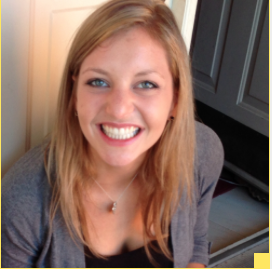 Lisa’s strengths are in qualitative research and program evaluation and her interests include empowering individuals and communities through capacity building and involvement. Dr.?Sarah Conners, ND will be giving a free community presentation on “Boosting your Immune System“. There are many things we can do to help prevent illness throughout the coming season. 1)Eat fresh whole foods: Eating a variety of fresh whole foods including plenty of colourful fruits and vegetables is essential to proper immune function. 2)Avoid refined sugars, trans fats and salt: These foods are known to weaken the immune system. 3)Increase your consumption of vitamin C containing foods: Vitamin C is known to boost immune function and help prevent cold and flu. Increase vitamin C containing foods such as: oranges, lemons, grapefruit, strawberries, raspberries, black currants, peppers, spring greens, brussel sprouts, broccoli, cauliflower, etc. 4)Drink up: Ensuring you are adequately hydrated will help enhance your immune system. Aim for half your weight in fluid ounces. (ex. If you weigh 150lbs, you should consume 75oz. of water a day). For breastfeeding mamas this means continue breastfeeding because your breast milk contains lots of antibodies and other immune supporting ingredients. 5)Sleep! : Ensure you are getting 8 hours of sleep per night and that you are sleeping soundly. Too little non-restorative sleep is known to weaken the immune system. 6)Exercise: Engage in at least 20 minutes of physical activity per day. 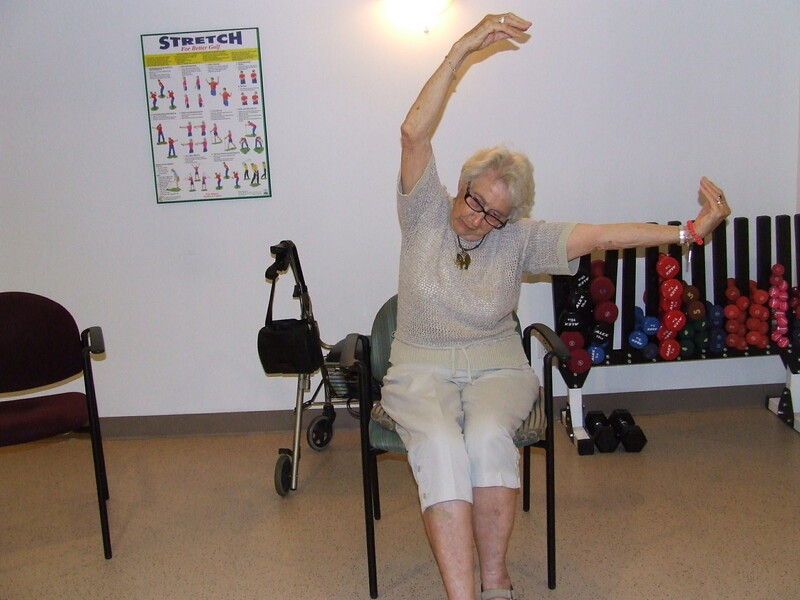 Exercise helps to increase circulation and lympathic flow, both of which help boost the immune system. 7)Breathe: Practice deep breathing exercises to help manage stress. High stress, fear, and worry can weaken the immune system, making you more susceptible to infections. 8)Wash hands: Wash your hands frequently using warm water and a natural anti-bacterial soap to prevent the spread of infection. -STEPHEN FILIPOWICZ (Honours BA Dance, University of Waterloo). ?Stephen was first introduced to Pilates in the mid 70?s as part of his Dance training. He was drawn to it years later when he was was recovering from a knee and back injury and sought it as part of his rehabilitation. 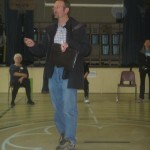 He taught Dance at the University of Waterloo and is Certified as a Pilates Teacher Trainer through the PhysicalMind Institute and has been teaching Pilates since 1999. Stephen has used his extensive background in movement, exercise and Pilates to train elite athletes and professional dancers to enhance their performance. He is also experienced at working with the novice exerciser and finds that no matter what level of fitness a person is at they can benefit from this Method. Chair yoga is yoga using a chair. It is ideal for office workers, children seated at a desk and for people who ?find it challenging to get down onto the floor to a yoga mat or where there just is no space for yoga mats. 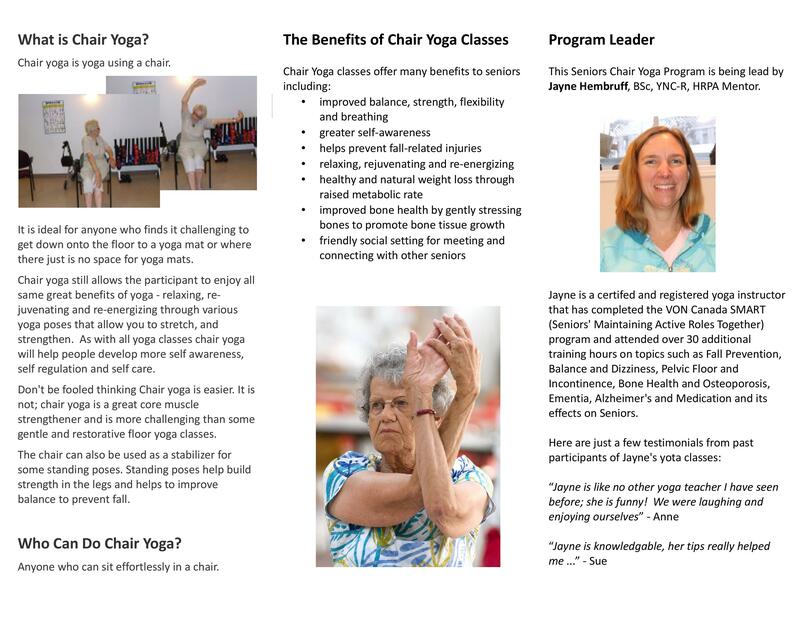 Chair yoga still allows the participant to enjoy all same great benefits of yoga – relaxing, re-juvenating and re-energizing through various yoga poses that allow you to stretch, and strengthen. As with all yoga classes chair yoga will help people develop more self awareness, self regulation and self care. 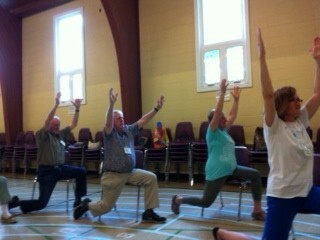 Don’t be fooled thinking Chair yoga is easier. It is not; chair yoga is a great core muscle strengthener and is more challenging than my gentle and restorative floor yoga classes. The chair can also be used as a stabilizer for some standing poses. 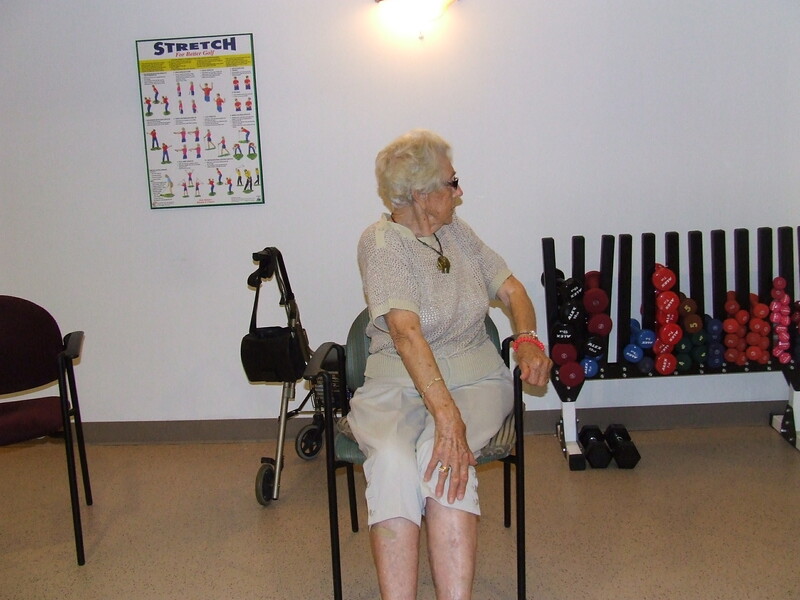 Standing poses help build strength in the legs and helps to improve balance to prevent falls. 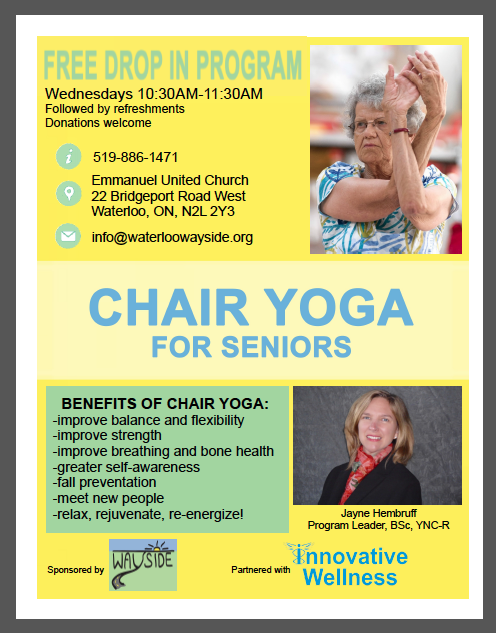 Innovative Wellness would be delighted to share with you chair yoga. 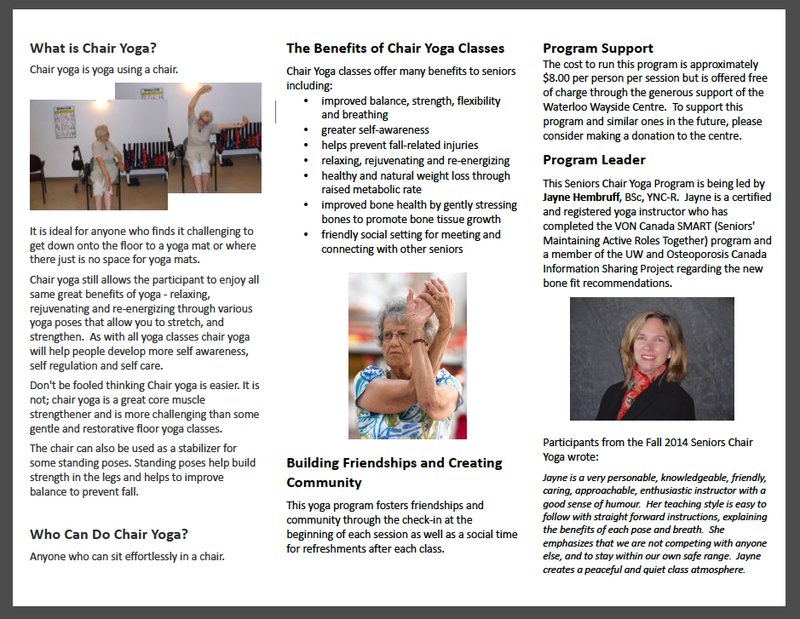 You can come to our studio, or we can bring chair yoga to you.